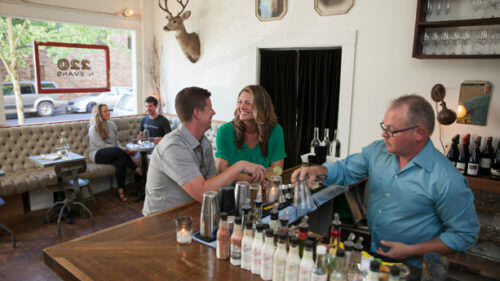 What is it that makes the Willamette Valley so … eccentric? Is it the vestiges of the maverick spirit of the Oregon Trail pioneers? The lingering presence of burnt-out rock fans, who still reminisce about Oregon’s own Woodstock, the state-sponsored Vortex I concert? Could it be the valley’s role in the development of the counterculture movement? Its bifurcation by the 45th parallel? Proximity to electromagnetic ley lines? 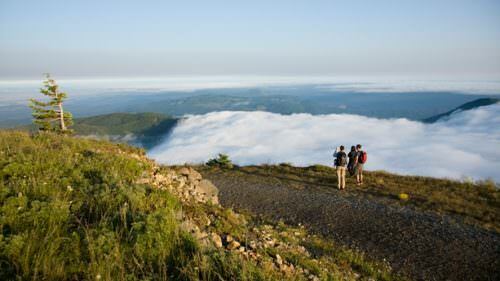 Whatever the reason, here you’re encouraged to do what you like, to follow your bliss, to blaze your own trail. Oregon has long produced and attracted dreamers and drifters, misfits and mysteries, so it’s no wonder that the Willamette Valley claims more than its fair share of the freaky and the far out. Starting in the south, near the Willamette River’s origins outside Eugene and extending north toward Portland, here’s your checklist of must-see monuments to the mysterious. 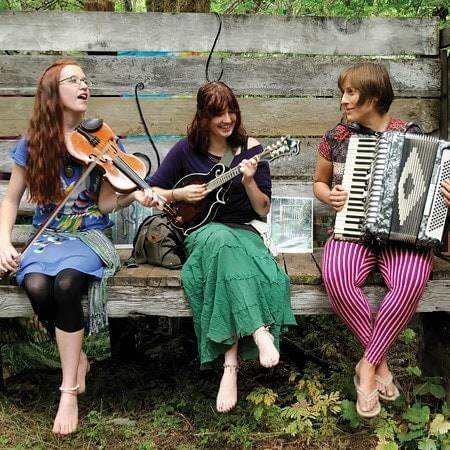 Each year during the second weekend in July, Oregon becomes ground zero for a dazzling array of artistry and frivolity known as the Oregon Country Fair (OCF). Celebrating its 50th anniversary in 2019, OCF dazzles its approximately 45,000 annual visitors (nearly tenfold the population of the nearby town of Veneta) with 18 stages of live music and other performances — everything from parades to puppets — as well as dancing, arts and crafts, costumes and pageantry, three-dimensional and environmental art installations, and well over 70 booths offering cuisine hailing from the four corners of the planet. OCF is a community-minded event, though the community in question might be more along “intentional community” lines: Toplessness is permitted, marijuana and alcohol are banned, and a freewheeling spirit is encouraged. Recovering from a series of strokes and a heart attack in the mid-’60s, Brownsville land surveyor Howard B. Taylor experimented with fashioning illuminated rock “canvases” for making two-dimensional art. Thus was born the Living Rock Pictures, a series of meticulous biblical tableaux crafted from thin slices of rock, with all the fiery, electric vibrancy of a Tiffany lampshade…or a halo. But where to house such a collection? In a building of rock, of course. 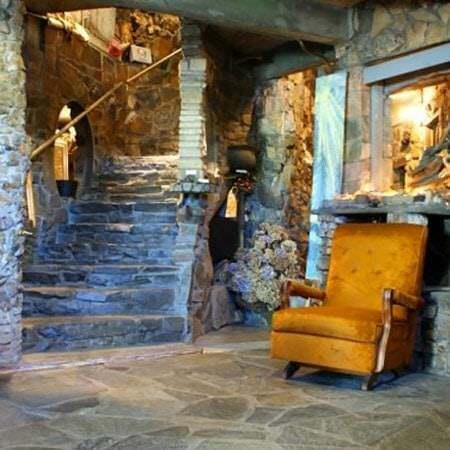 Starting in the ’60s, the pious Taylor constructed a two-story, 800-ton studio and museum space, all fashioned from rock. The strange medieval-tower-in-miniature was completed in 1985, on the date Taylor celebrated 50 years of marriage to his wife, Faye. Now one of Brownsville’s more exotic structures, the Living Rock Studios welcomes visitors to admire and shop among its collection of arts and crafts celebrating the natural world and the history of Oregon. In the late ’60s, noting his children’s frustration and boredom on a long car ride to visit relatives in Minnesota, Roger Tofte was struck with an idea for a roadside attraction just south of Salem. Falling into the Howard B. Taylor mold of maverick visionaries, Tofte bought a hillside on the cheap, and over nights and weekends for the next several years, he constructed a fairy-tale-and-nursery-rhyme-themed amusement park, complete with rides, activities, live music and shows. The singular — and peculiar — vision behind the park is due to Tofte’s remarkable habit, especially in the early years, of fashioning the park’s attractions himself. 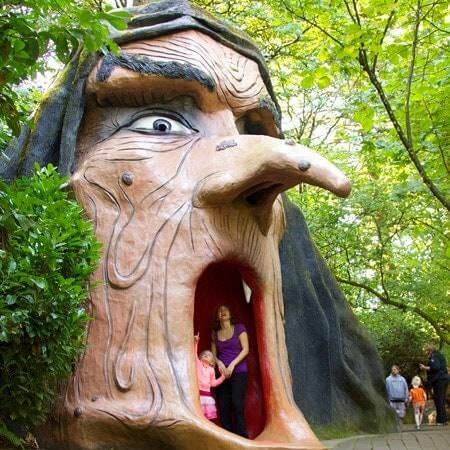 The park is known for its “Storybook Lane,” a walk through lush Oregon forest interspersed with kitschy, life-size figures of fairy tale characters, which are equal parts charming and unsettling. Today the Enchanted Forest theme park is still owned and operated by Tofte and his family. It’s not just a welcome respite for cranky kids on I-5 but a rite of passage for generations of Oregonians seeking funky family fun. As a prime location for the hippie movement of the ’60s and ’70s, Eugene already prides itself on its counterculture bona fides. So who else should the city memorialize at a major civic crossroads than the Merry Prankster himself, Ken Kesey? In Broadway Plaza, at the corner of Broadway and Willamette Street in downtown Eugene, sits The Storyteller, a metal sculpture of Kesey by local artist Peter Helzer. Hardback book poised in one hand, the bronze bohemian has been reading to three smaller statues — likenesses of Kesey’s real-life grandkids — since the work was unveiled in 2003. If visiting over the weekend, head to the longstanding Eugene Saturday Market to see the local culture come to life in dazzling rainbow tie-dye color. 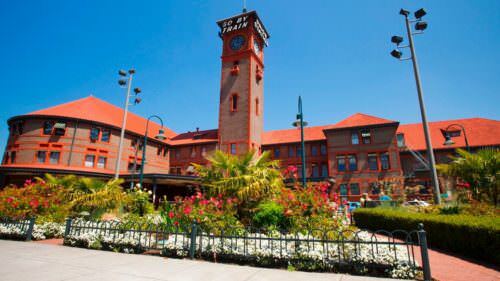 The author of “One Flew Over the Cuckoo’s Nest” and “Sometimes a Great Notion,” Kesey attended the University of Oregon in Eugene and was raised in neighboring Springfield. In fact, just over 10 miles away, at Fourth and Main streets in Springfield, check out a two-story Kesey mural, completed in 2015. 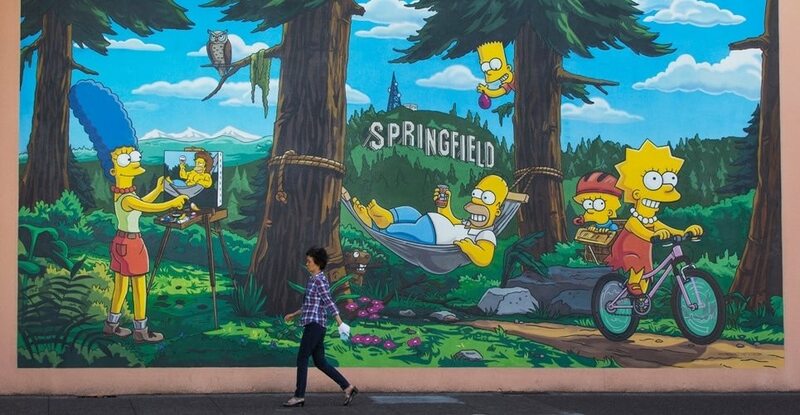 It’s one stop on the Springfield Mural Walking Tour. For another pop culture detour, Springfield was also the real-life inspiration for the Simpsons’ cartoon hometown. The city’s collection of murals also includes one dedicated to the long-running TV series. You can even take the Unofficial Simpsons Tour. In 1923 the Brazier family’s trek from their home in Silverton to Wolcott, Indiana, turned from carefree vacation to sorrowful search party when their Scotch collie, Bobbie, was chased away from a gas station pit stop by a pack of local dogs. The Braziers assumed Bobbie was lost to the Hoosier State and reluctantly returned to Oregon. Six months later, the steadfast stray turned up again in Silverton, exhausted and footsore — but undoubtedly, this was the one and only Bobbie, who had traveled over 2,500 miles, crossing the Rockies during the winter to find home. Celebrity swiftly followed for the famous Fido now known as Bobbie the Wonder Dog, including books, magazine articles and even a starring role in a silent film. 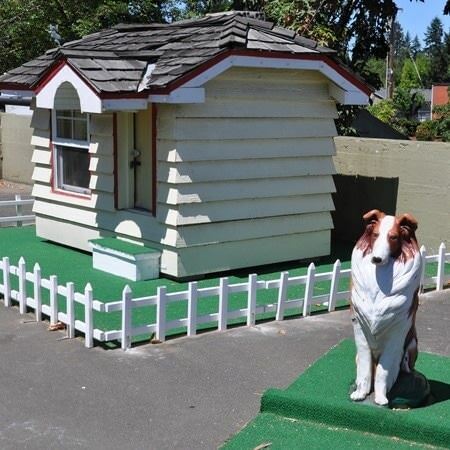 Today Bobbie rests at the Oregon Humane Society in Portland, but Silverton has honored its canine native son with a pair of local attractions: a statue and a mural commemorating Bobbie’s journey, located near 200 South Water Street. Each September the small town of Mt. Angel, just over 4 miles to the northwest of Silverton, celebrates its annual Oktoberfest, the largest folk festival in the Pacific Northwest. 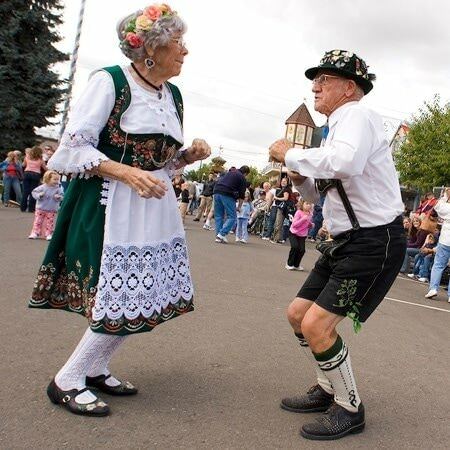 But visitors can enjoy the town’s German-Swiss heritage year-round by watching one of four free daily mechanical performances of the town’s Glockenspiel, the tallest bell carillon in the United States. Think of it as a sort of four-story cuckoo clock, with nearly life-size wooden characters representing local historical figures, performing daily at 11 a.m., 1 p.m., 4 p.m. and 7 p.m. at the corner of Garfield and Charles streets. The automaton actors perform for just under eight minutes, leaving you plenty of time to take in the museum at the nearby Mount Angel Abbey, where the Benedictine monks have assembled miscellanea, including a taxidermic six-legged calf and what purports to be the world’s largest pig hairball. If, you know, that’s your thing. 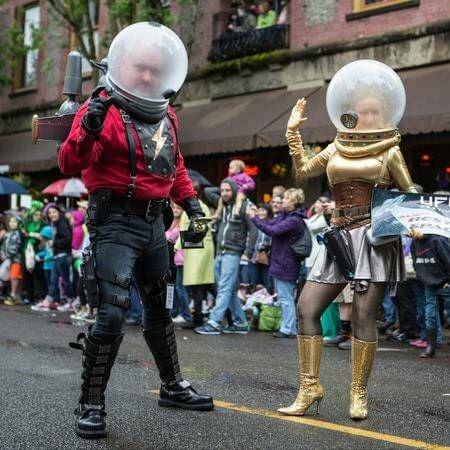 Finally, just about 90 minutes south of Portland, visitors can rub shoulders each year with little green men, as the annual McMenamins UFO Festival beams into McMinnville’s Hotel Oregon each May. McMenamins established the event in 2000 — millennial panic, anyone? — to commemorate a famous local flying-saucer sighting of 1950. The event draws a mix of guests who take the proceedings seriously (e.g., talks by eyewitness speakers and experts in ufology) alongside those who decidedly do not (e.g., participants in the campy, corny alien-costume parade). 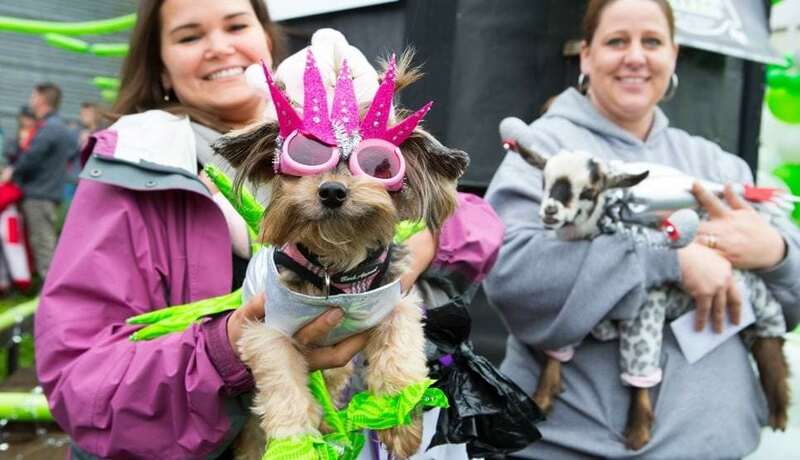 Come for the grade-A people-watching, yes, but stick around for live music, a 5K run and even a pet costume contest. Whether you’re a serious seeker or a sci-fi fan, you’ll find something at this weekend-long fete. 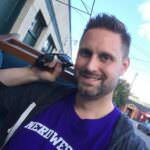 Based in Portland, Aaron Ragan-Fore writes about travel, popular culture, history, folklore and the arts. Find him on Twitter at @aaronraganfore.